A paver patio might be the perfect remedy to a deck that’s seen better days. The owners of this Montgomery home found a patio to be a wonderful addition to their backyard. The home, built in 1993, lacked an attractive outdoor living and entertaining space. 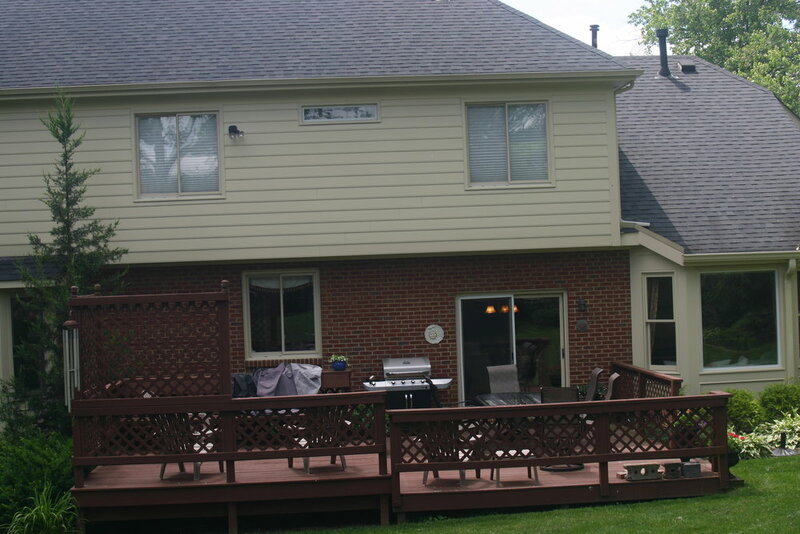 The existing deck was made of wood that needed to be maintained frequently. The deck also blocked the traffic flow from the house out onto the yard. The Seiler’s Landscaping team designed a curving paver patio made of decorative concrete pavers for the space. At 550 square feet the patio is just right for large and small gatherings of friends and family. A curved seating wall with pillars adds seating and a touch of formality to the area. Natural materials and lush plantings soften the hardscape and make the space welcoming. The overall plan for the paver patio also included a bubbling rock water feature and landscape lighting. We installed an LED lighting system which is completely self sufficient and requires little energy consumption. With this investment, the homeowners can now thoroughly enjoy their outdoor space. They’ve created an island of peace and beauty right in their own backyard. Ready to make the most of your yard? Step 1: Contact us to discuss your project. Step 2: Get an estimate and meet our pros. Step 3: Relax and enjoy knowing you are working with Cincinnati’s most trusted landscaping pros.